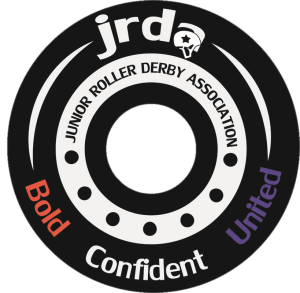 Star City Junior Roller Derby! What gear is required to play this sport? Helmet, elbow pads, wrist guards, knee pads, mouth guard, and of course skates! What if my child does not have these items? No problem! We have loaner gear available and Firehouse Skate is providing rental skates free of charge. You must provide your own mouth guard and can be purchased inexpensively from Walmart. Thanks to our generous sponsors and donations, we are able to provide discounted camp fees. The more donations that we are able to get, the more we will be able to help. We will provide more information when camp begins! What if my child decides that they do not like Roller Derby? Payment is required by the end of the 2nd practice. This will allow you to attend 2 skating opportunities to decide. Do you provide skating lessons for children who do not know how to skate? Everyone will start at different skating abilities. Our training program will take this into consideration and everyone will know how to skate by the end of the program. As a parent, what are my responsibilities? Parents and volunteers are always needed and are welcome at events and games. During practices you are welcome to stay but may also drop your child off. Practices will be held at Firehouse Skate on Saturday Mornings from 8:30 AM – 10:00 AM. Are practices open to anyone who would like to come? Practices are only open to registered skaters and parents. All training staff must have liability waivers, background checks, and concussion training certificated on file prior to attendance.